The ATA is happy to present Speed Date a Sustainability Expert in partnership with City of Cockburn. Join us for a fun and informative day where you will receive free personalised advice from leading sustainable architects, designers and sustainability experts. Bookings are essential for this free event. Please register your interest by emailing speed.dating@ata.org.au. If you have any queries about this event or Speed Date a Sustainability Expert please email. Ann Forma has a lifelong interest in native plants and community affairs, and a qualification in Landscape Architecture. She has worked at ApaceWA, a North Fremantle community-run native plant nursery, for the last 16 years and runs a garden design service, Apace Natural Design. 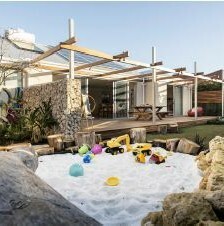 Her designs have ranged from smaller residential projects and demonstration verges to larger projects in schools and revegetation in subdivisions. She uses local native plants as much as possible in the designs, and is conscious of the need to provide habitat for native species as well as an aesthetically pleasing garden. 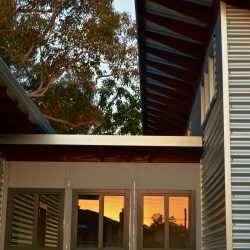 John Damant is an eco-designer and founder of Arcologic Design, a Perth based practice specialising in the design of sustainable homes. He is the recipient of many awards, especially in the sustainable housing sector. He has published a book on sustainable houses titled “Eco-Logical Living” based on the “10 essentials ” he includes in all his projects. 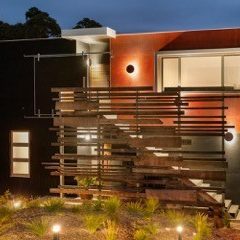 His projects span most areas of Western Australia, and are at many scales using a variety of materials and technology. He has a particular interest in low impact sustainable housing solutions for compact and difficult sites to address the problem of suburban sprawl. Clare Mengler has a vision of sustainability on all fronts and offers collaborative design & strategy with on-the-spot drawings to enable clients to move forward. 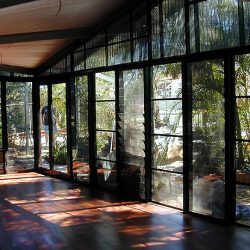 She is an affiliate member of the Australian Institute of Architects offering strategic consultancy and building design and documents for everyday people at any stage of a project. Clare has a keen interest in adaptive reuse of older housing stock and has a keen eye for design. 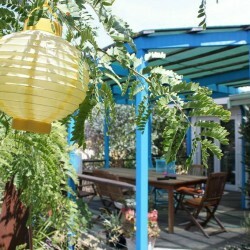 She is a very good communicator and able to help with with staging, budgets and sense of place. Clare often begins a project with a concept and collaborates with builders for realistic expectations with cost and construction. 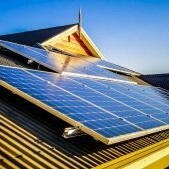 Proudly WA owned and operated, Clean NRG Solar are experts in Solar PV Systems, Solar Battery Storage and Solar Hot Water. With their show room located in Osborne Park, Clean NRG Solar have helped homes and businesses all over Perth slash their electricity bills while gaining green credentials. Established in 2010, Craig Donohue is the founder of Clean NRG Solar. He has always had a passion for sustainability. From an early age Craig has had a desire to reduce his carbon footprint and his electricity bills. In 2010 the opportunity came up to start a Solar energy business and Craig has never looked back. With 30+ years experience in retail and B2B, he has an excellent understanding of the importance of superior customer service and has an excellent reputation in the industry. Craig has been employed by some of the world’s largest companies including Sanyo and Toshiba. He prides himself on an open door policy and is always available to personally meet with clients. Proudly WA owned and operated, Clean NRG Solar are experts in Solar PV Systems, Solar Battery Storage and Solar Hot Water. 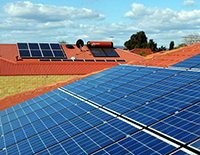 With their show room located in Osborne Park, Clean NRG Solar have helped homes and businesses all over Perth slash their electricity bills while gaining green credentials. Established in 2010, Tony Cappa is the co-founder of Clean NRG Solar. He has always had a passion for sustainability. 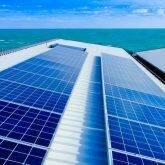 With 30+ years experience in retail and B2B, he has an excellent understanding of the importance of superior customer service and has well known reputation in the Solar industry in Perth. Tony is always more than happy to personally meet with clients. Pernille is a highly creative designer with a decade of experience in sustainable design for the residential market. 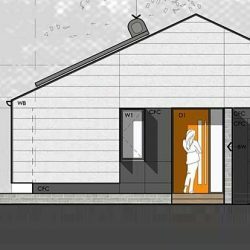 She specialises in passive solar and energy efficient design with involvement in projects on the ground nationally as well as public projects. She is currently a board member of the Building Designers Association WA, BDAWA and previously worked with one of Perth’s leading energy efficient home designers, before starting her own design studio. 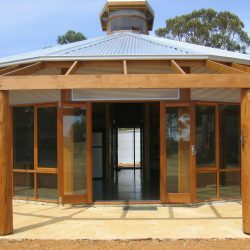 Design For Seasons is a small building design practice located in the Perth hills, specialising in passive solar, energy efficient, environmentally sustainable design. Gary Palma is the manager and designer and has always had an interest and passion for eco design and alternative building methods and materials. With over 25 years experience in the architectural and building industry, including 18 years in his own practice Gary brings a wealth of knowledge and experience in good design. Areas of design include individual houses, retrofits and additions, group housing, and community buildings. 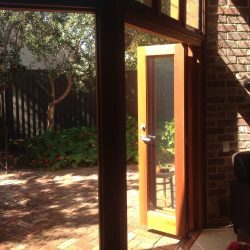 Gary is also a registered builder and can take a project from concept to construction. 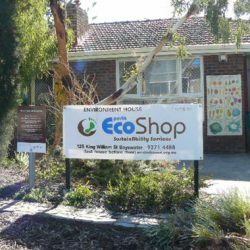 Environment House is a largely volunteer-run campaign centre and eco-products store set up to support the community’s efforts to live in a way that respects our environment and future generations. Long-term volunteer Alan Benn is an Electronic Engineer with a long interest in sustainability who is now giving advice to homes, schools and small businesses on reducing water and energy use. Alan has done over 300 home assessments for local councils, Synergy and private homes. As well as his involvement with Environment House, Alan runs his own energy auditing business, CHSA – Commercial and Home Sustainability Audits. Michael is an enthusiastic Fremantle based built environment sustainability consultant with 25 plus years experience in the residential building industry. 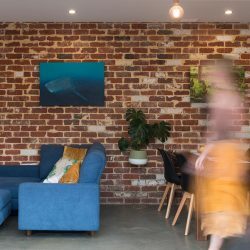 His experience includes builder’s assistant, Sustainability lecturer at TAFE and co-writer and presenter of Owner-builder and Sustainable Design and Build courses at Home Base. Michael is passionate about sustainability and has a demonstrated knowledge and practiced understanding of sustainable building design and construction, including energy and water efficiency in residential builds. Garden Deva is a unique and creative garden design company with over 18 years experience creating original and beautiful gardens. Sustainability is at the heart of every Garden Deva design. Our focus is on creating liveable spaces which both look and feel great. Our gardens are diverse, they celebrate the seasons and provide year round interest. 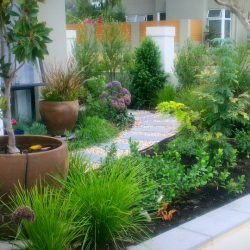 Whichever style you prefer – be it an edible garden, a native, contemporary, dry tolerant tropical or Mediterranean (or other!) – we will create an inspired garden for you to love and live in. 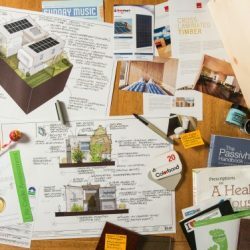 ISMART are focused on making a difference in the way we think about building sustainably. Building homes that will last for generations to come, and will be affordable to all. We believe sustainability is a prerequisite to business today, not a selling point or a marketing anchor. We are sustainable because our environment and community call us to be, because the standard for quality homes today, is a sustainable home. Brian has a trade background, extensive international experience, including Europe, New York City and various management qualifications including a diploma of construction and frontline management. He is the director of EBS Builders Pty Ltd, is the registered builder on all ISMART building projects and is a partner in the ISMART Building Group. 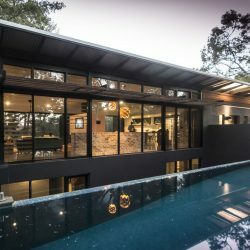 Matthews McDonald Architects is a small practice based in the Perth Hills, Western Australia, established by Leonie Matthews and Paul McDonald. Our practice is committed to architecture that is sustainable and that makes great places to live, work and enjoy. For us architecture is a collaborative process and we work closely with our clients to realise their vision. With the uniqueness of each project we guide our clients through the stages of design and documentation, approvals and construction with care, skill and attention to detail. Fiona Hogg is an award-winning architect with over 25 years’ experience in the design and construction industry. Fiona is the director Paradigm Architects, an award winning architectural practice specialising in sustainable commercial and residential development. The practice has been involved in the development of remote and regional housing typology, including modular and transportable building types. Fiona has significant experience in the design and construction of regionally and environmentally responsive projects, working across urban, regional and remote areas including the Pilbara and Kimberley regions of Western Australia and Cocos Keeling Islands. Sid Thoo RAIA is an award-winning architect, consultant and educator with a passion for designing more sustainable eco-effective buildings. He gives regular presentations and workshops on eco-effective building design, and is a NatHERS accredited assessor. Sid was recently a Clinical Professional Fellow in the School of Built Environment at Curtin University. Solar Dwellings’ Founder and Director, Griff Morris, has been researching and designing passive solar homes since the late 1970s. He is now a leading national authority, teaching sustainable design and home energy efficiency. Our homes are judged amongst Australia’s best because they’re intelligently designed and very well constructed. They’re highly sustainable, universally accessible and incredibly comfortable to live in. They significantly cut energy and water costs – but they don’t cost the earth. Solar Dwellings has won over 50 major housing awards. 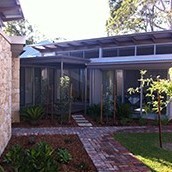 Sorensen Architects is a well-established practice of 23 years based in Margaret River. Michael Sorensen originally started as an architect in Perth, followed by a number of years experience in the UK & Germany. Sorensen Architects has always focused on and applied ESD principles. We are passionate about the environment and the way we engage with it. We create buildings that function well and have longevity and flexibility – buildings that are good to live in, good to work in and that are inspiring and stimulating. Our designs are location driven, innovative and individual. Sorensen Architects won an award for Sustainable Architecture from the Australian Institute of Architects in 2013. Sunday Energy’s Travis Hargreaves has 11 years’ experience in designing and installing solar power systems in Western Australia. Receive advice on system designs, energy production, and financial returns specific to your house design and energy use. Learn about residential energy management systems and the latest solar technologies coming to market 2018. 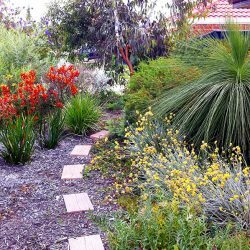 Perth’s drying climate and the amazing array of Western Australian plants have made verge gardens more practical than ever before. A verge planted with native ground covers is far more attractive, requires less maintenance and water than lawn and actually becomes an extension of your liveable area and could even increase the value of your property. 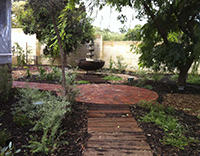 Simon pawley has been promoting and installing verge garden across Perth for 14 years and has experience with soil preparation with bentonite clay, planting and mulching. The Forever Project aims to inspire and empower the community to live more sustainably. This currently includes a range of high profile and award winning projects such as Great Gardens, Heavenly Hectares, and the Great Hamilton Hill Sustainable Home Project. The Forever Project’s leader Chris Ferreira is a well-known personality in the sustainable agriculture, landcare and gardening world. He has a solid background in environmental science and has emerged as a leading authority on sustainable living, agriculture, landscaping and design including regular roles on 720 ABC Radio, as a presenter on Channel 9 Greenfingers and Garden Gurus TV and as an adjunct lecturer at Murdoch University on Sustainability. 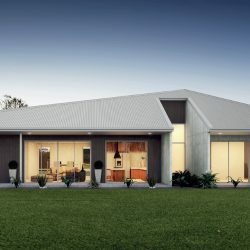 Wandoo Design and Construction is a registered design, building and renovation company mostly engaged in the domestic market, based in Perth, Western Australia. We enjoy close collaboration and relationship with our clients to provide unique, climate sensible, energy efficient, ergonomic and aesthetically pleasing homes and additions with character, honest materiality, relevance and sense of place. We have a firm commitment to the environment and this is reflected in our designs and quality material sourcing. We want to build to last and invest carefully in design intent. We keep abreast of new products but highly value the vernacular. We can design, draw, think, help and build. We build our own designs and we collaborate with architects to build their designs. We tender on works. We love to work sensitive to heritage and local natural environment, with new and recycled materials and a mixed palette. We aim to do no harm. We have a lot of time and energy for our clients and have a great capacity for custom design with both creativity and budget in mind. Use of rainwater tanks is increasing in popularity, and recent research shows an increase in property values for homes with tanks installed. 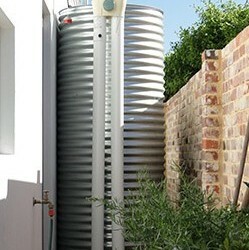 A specialist with many years of experience in collection and re-use of rainwater, whether for a townhouse or a large rural property, WaterCraft has a reputation for well-designed and executed installations of all types of tank with attention to all those little details that make the difference. Gareth also advises on the use of greywater systems for garden irrigation, and as a member of the Greywater and Wastewater Industry Group is well-placed to advise on what can be achieved for a given property size. Be prepared to discuss your goals in terms of intended use for the water and space available for storage.